Exploring Types Food Grade Tanker Trucks For Your Transport Needs. 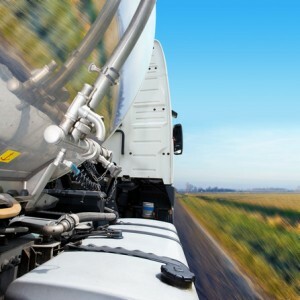 Delivery of either bulk food grade or liquid food grade items by tanker truck has long been a trusted avenue for businesses across the globe. Yet delving into the different types of tankers that best suit a company’s needs may not always be at the top of a company’s considerations when the time comes to make such a choice. Some companies need to transport chemicals, some of which can be corrosive. There are different commodities like asphalt that bring with them high temperatures that require specific tankers. There are also fuel-oriented deliveries that need to follow many of the same directives that involve chemical transport. In the area of food, any solid global liquid food transport company needs to have the versatility to supply bulk food grade transportation in the event the latter is needed. That’s because the scope of such deliveries allows for more convenient transport for a customer, with such value usually resulting in a consistent flow of business for the transport company. Customized trailers are also available, with multi-compartment models offering a global liquid food transport company to also deliver bulk food grade items within the same delivery. This option does bring with it certain challenges since a variance in the temperatures for each item needs to be given a more attentive approach. Delivery for any liquid food grade transport or bulk food grade items may vary in frequency and especially size. The latter consideration will mean choosing one of three options available for such transport: heavy, medium or light duty trucks. Each of them are viable for such duties, though the obvious difference stems from their overall capacity. Food-oriented items usually are carried in heavy duty trucks, which can potentially handle as much as 13 tons worth of gross weight in the area of bulk liquid food grade transport. In some cases, a multiple-trailer rig setup is put in place, which may extend close to 100 feet in length. More standard operations involve the use of a single-trailer system that can range from as small as 30 feet to as large as 53 feet. For bulk food grade transportation, a tank made of stainless steel is often used as the mode of delivery. However, given the hygienic and safety concerns involved, a thorough washing of the inside is handled prior to each delivery. When that cleaning pertains to Kosher food items, the level of cleanliness extends even further, with an inspection and blessing required before a customer will sign off on a delivery. Not surprisingly, the extended level of requirements involved will involve charging a higher price for such transport. In many cases, the items being transported need to be protected from outside considerations, since the end result can be compromised items that have to be discarded. Depending on the specific need, companies have the option of choosing an insulated tanker or one without such protection. There’s also tankers that may or may not be pressurized and those that are vacuum-sealed. The latter instances really needed for food-based concerns, with the insulated model the best option for perishable items. For over three decades, Kan-Haul has served its customers well. Whether as a global liquid food transport company or when offering their expertise in the area of bulk food grade transportation, Kan-Haul has a professional staff in place to help with your deliveries. So if your job involves liquid food grade transport, bulk food grade or anything else, contact us to get the job done.